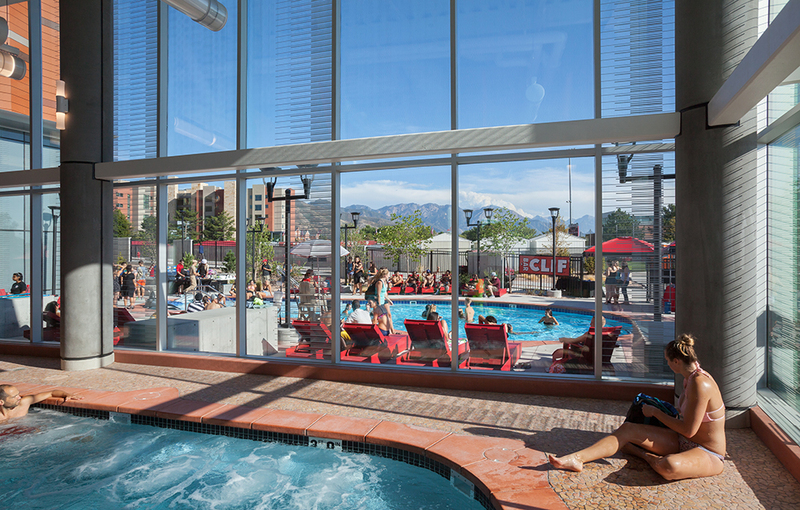 The new Student Life Center is designed to be a transformative project on the University of Utah campus. 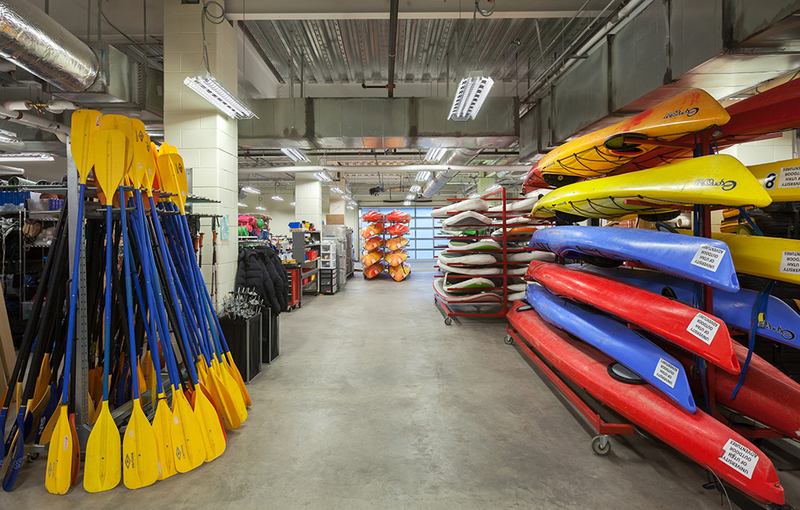 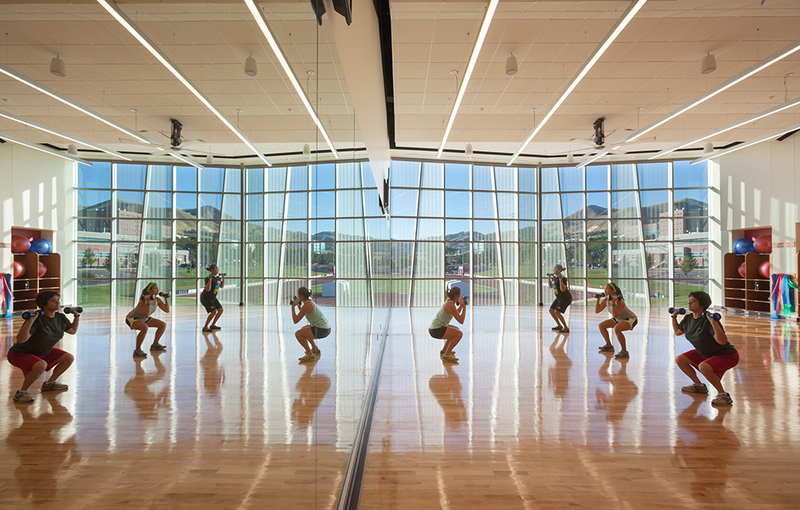 The recreation center is a student-supported project and intended as a hub of social and recreational activity on campus, and the design team incorporated student input and involvement from the earliest stages of the project. 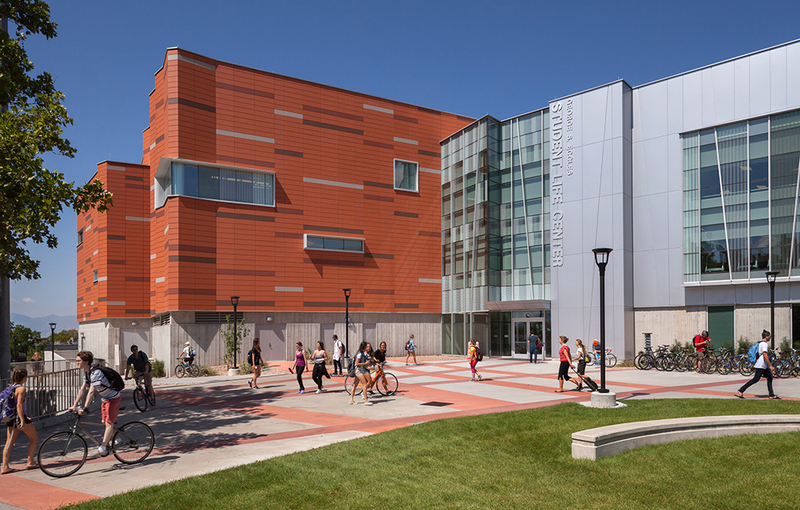 The resulting building is playful and uplifting – a direct reflection of the quality of life at the University. 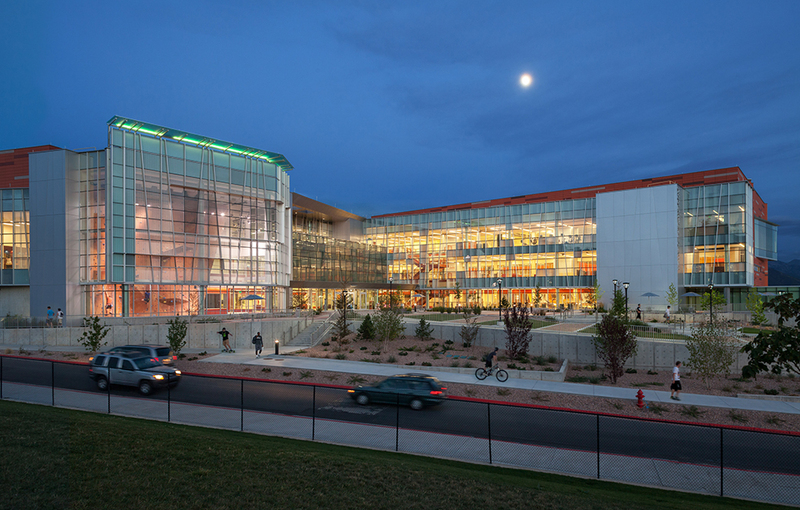 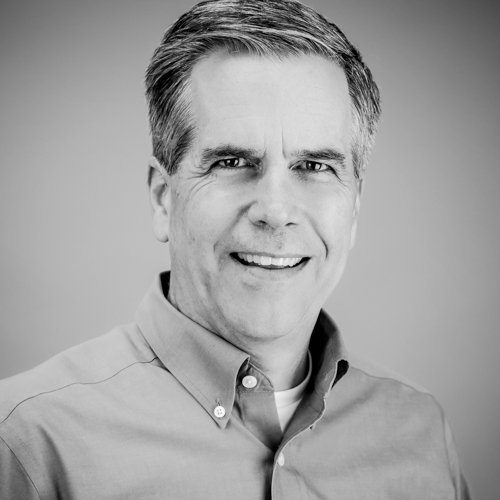 The design is inspired by its surroundings in the state of Utah, which is predominantly a desert. 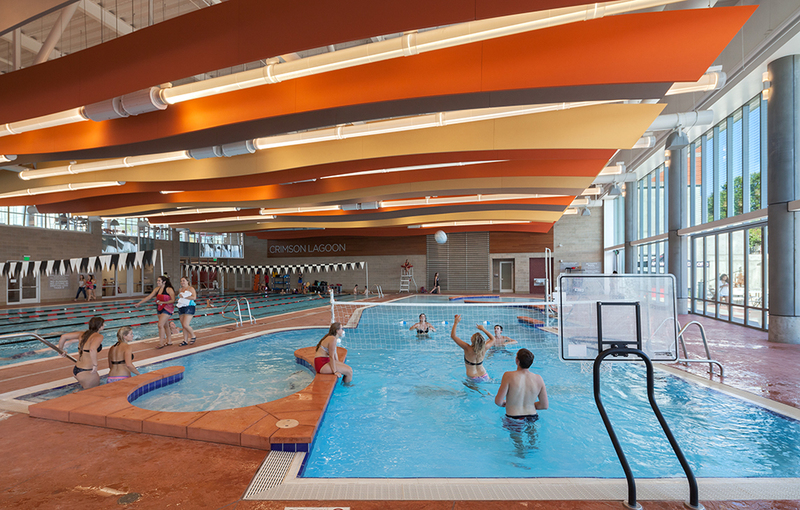 The color scheme is mostly orange and red hues from the landscape to the south, and the angular surfaces throughout the facility are a nod to the rock formations in the red rock deserts. 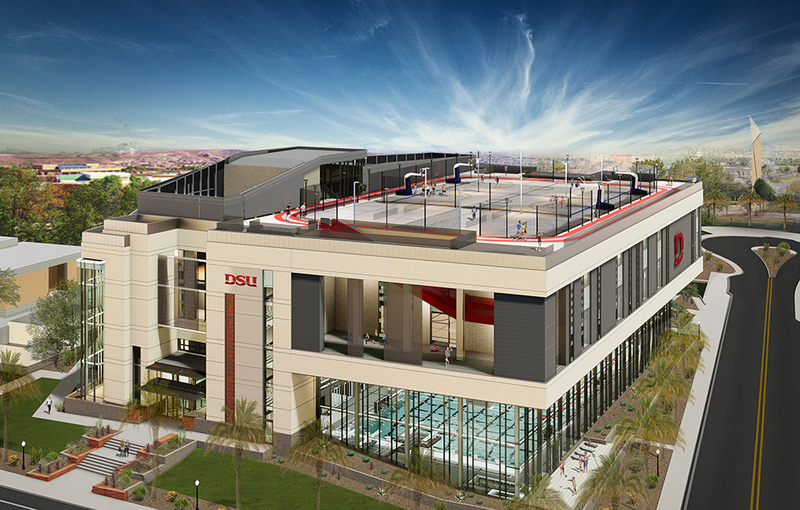 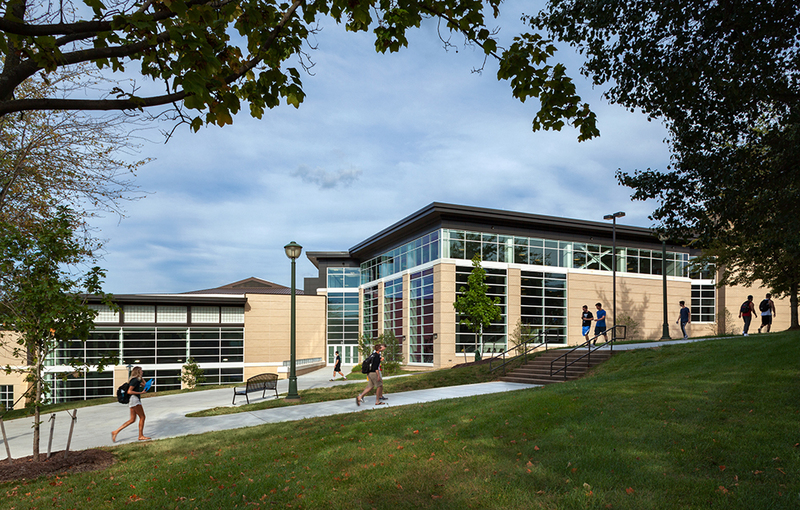 The new building joins the previously disparate Campus Recreation Services into a single building. 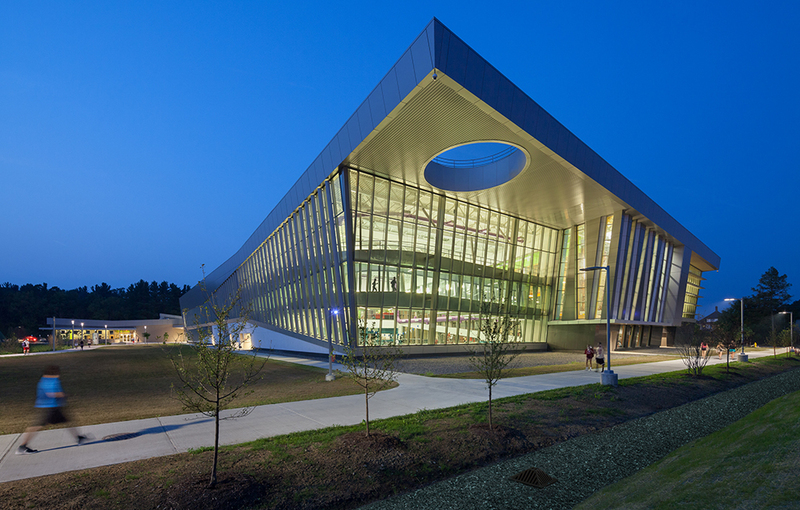 The recreation center features a natatorium with 50M lap pool, leisure pool and whirlpool. 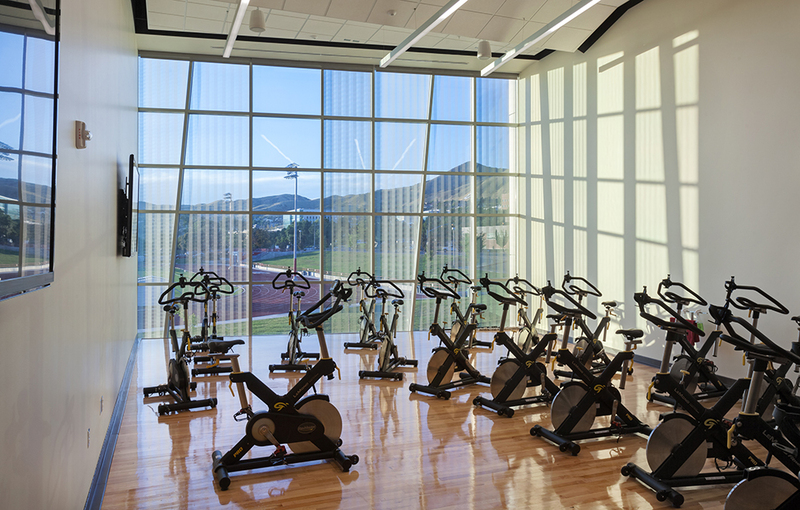 The 17,000 SF two-level fitness center contains cardio equipment, weight machines and free weights. 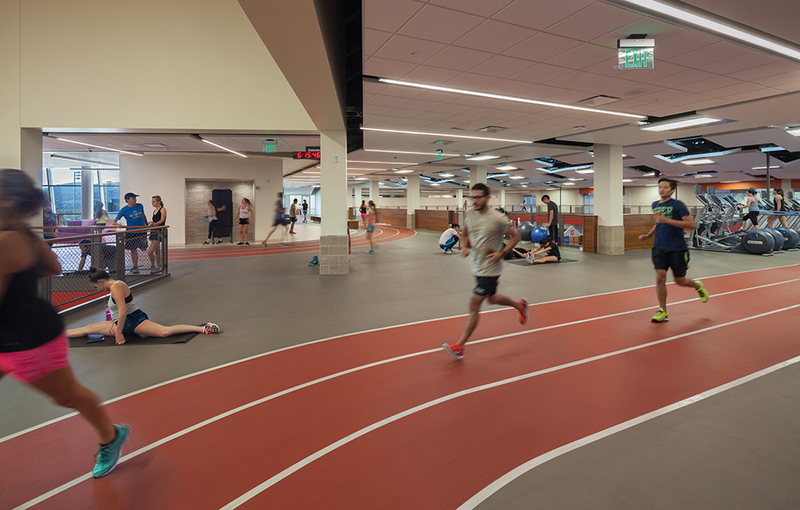 Other spaces include a three-court gym with a suspended track, two-court auxiliary gym, a 10-foot tall bouldering wall, 54-foot tall climbing wall, racquetball courts and four group fitness studios.